"A Bowtie on a Cat" might have been the better title. Hippo is such an awesome model, and he wears ties very, very well. He's kind of a lot lazy, so there's no real worry of him running off at the wrong time, and he'll sit and stare at the camera or at whoever is distracting him for as long as it takes. 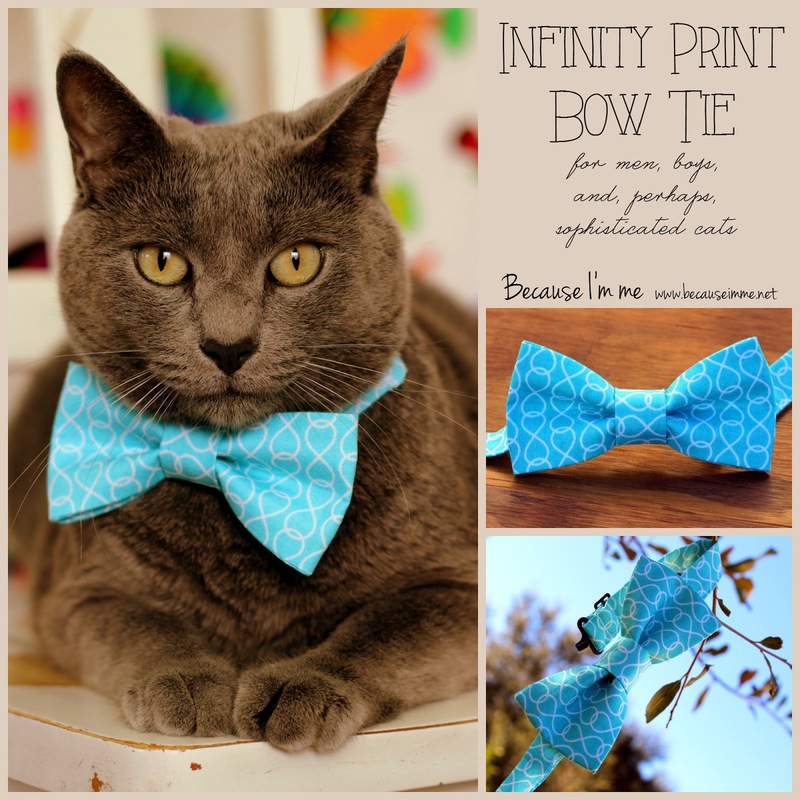 The tie features lines of infinity symbols or figure "8's" on a wonderful turquoise woven cotton tie. Very simple, but lovely and sophisticated.